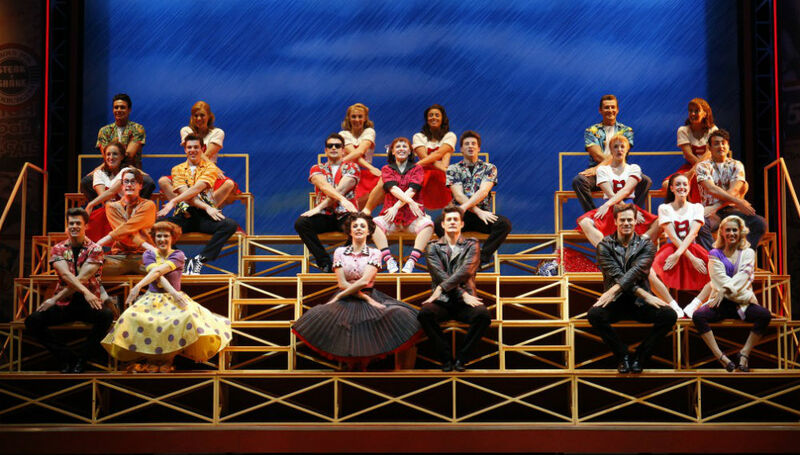 GREASE, the smash hit musical, is finally coming to Adelaide’s Festival Theatre for a limited season following hugely successful runs in Perth, Melbourne, Sydney and Brisbane. 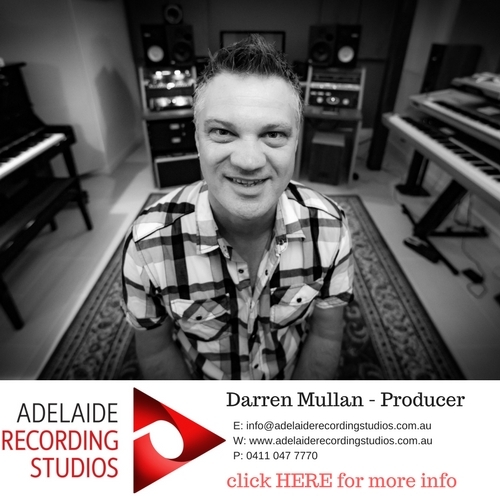 Playing the iconic roles of Danny and Sandy are Rob Mills and rising star Gretel Scarlett, while Bert Newton, who recently turned 70 years of age, plays the role of veteran disc jockey Vince Fontaine. Todd McKenney stars as Teen Angel and television and stage veteran Val Lehman has made a return to musical theatre to play Rydell High’s school principal, Miss Lynch. Grease was originally a hugely successful 1978 film starring John Travolta and Australia’s Olivia Newton-John in the key roles and was set in the 1950s. The soundtrack, featuring songs such as Grease, Summer Nights, and You’re The One That I Want as well as an array of rock’n’roll classics, also became one of the best selling albums of that year. 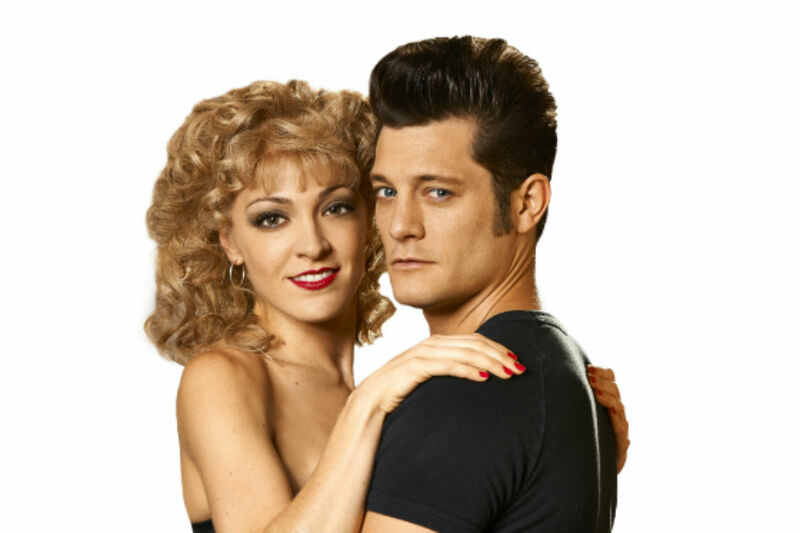 We caught up with Rob Mills and Gretel Scarlett, who enjoy a great camaraderie, as part of a whirlwind promotion tour.The ever-cheeky Rob Mills tells us how he was asked to audition for the role of Danny Zuko. “I’ve usually had to ask to audition for shows such as Wicked and Legally Blonde,” he laughs, “but this time they actually asked me because the producers felt I would be right to play the part. So I went in and sang and read some parts alongside three potential Sandys with Gretel being one of them. And they really liked what they saw. “Initially I was a bit unsure how I’d go with the dancing because that’s pretty tough,” Mills adds. Scarlett had to go through the audition process for her role in GREASE after being an understudy and part of the ensembles in several successful musicals. “I’d decided to leave Wicked because I wanted to step up,” she reveals. “I’d rehearsed the role of Elphaba in Wicked for almost a year and only got to go on stage once in that role which was for only half the show. I thought I was no longer challenging myself so needed to get my teeth into a big role. Scarlett and Mills say they were already very familiar with the film – Mills said he’d seen it upwards of a dozen times over the years – and that it remains highly popular. “It’s such a great love story and quite classic,” Scarlett considers. “But the musical theatre version has a bit more of an edge to it,” Mills states. 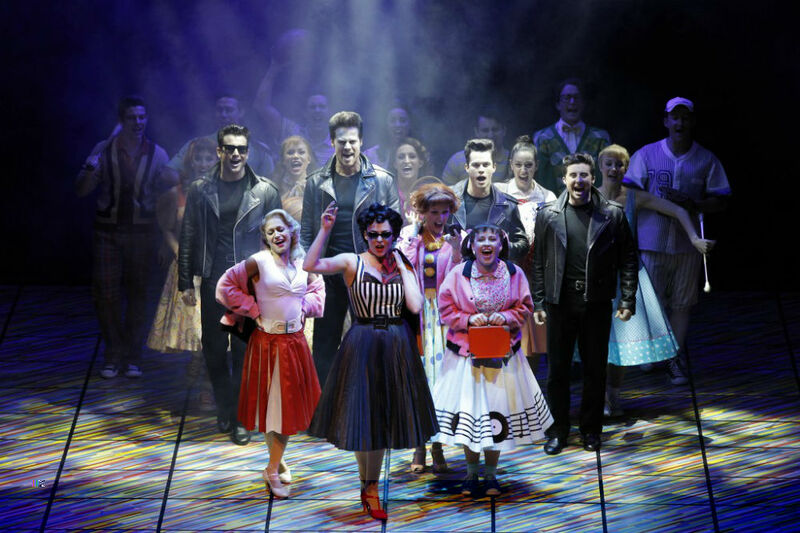 GREASE runs at Festival Theatre, Adelaide Festival Centre, from Thu Aug 7 until Sat Aug 31 with preview sessions from Sun Aug 3 until Wed Aug 6. 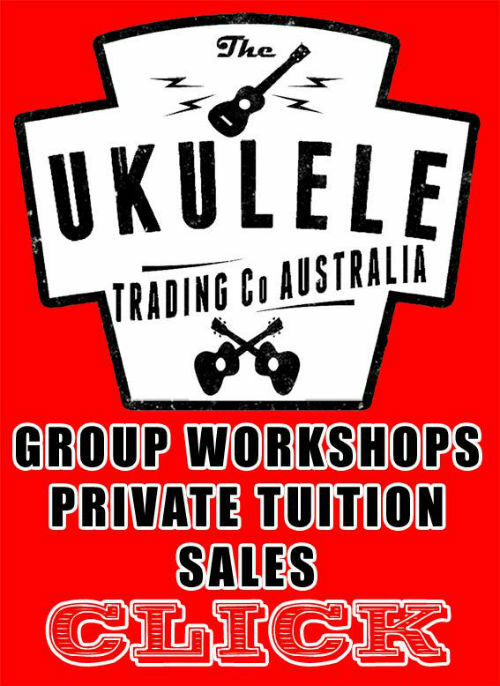 Book at BASS on 131 246 or www.bass.net.au. For your chance to win one of 2 Double Passes to be at the Opening Night Performance of GREASE on Thu Aug 7, Click here or head over to our Competitions Page to put yourself in the running for a great night out!